In the spotlight with the publication of The Great Gatsby, the North Shore's Gold Coast boasted perhaps the greatest concentration of wealth in the country during the first half of the 20th century. In its heyday, over 1,200 grand homes lined the shoreline from Eaton's Neck to Great Neck and as far south as Old Westbury. With inspiration from around the globe, as well as the development of many new American styles, an architectural renaissance occurred, bringing together the greatest artisans, architects, landscape architects, and designers to create an exclusive enclave that flourished until World War II. 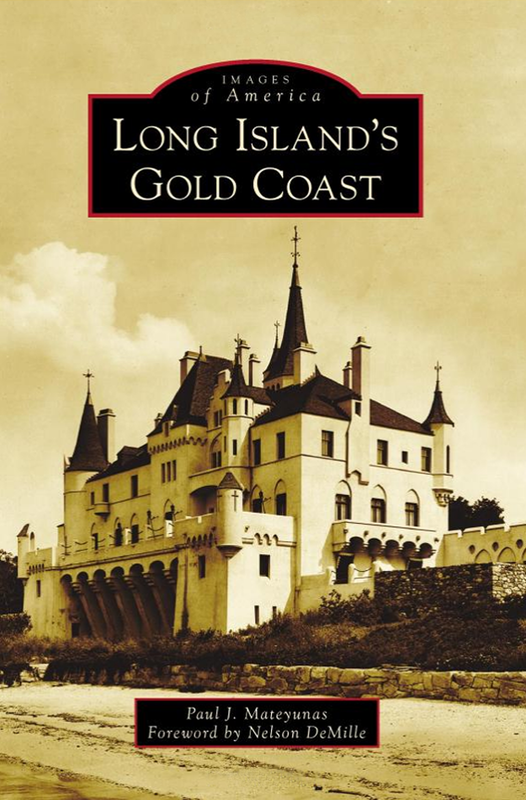 Captains of industry, founding families, and even royalty called Long Island home. Everyone from Morgan, Woolworth, Vanderbilt, Hearst, Field, and Phipps to the Duke of Windsor resided here. Lavish parties celebrated weddings, Lindbergh's transatlantic flight, and other events. Today, approximately one-third of these houses still survive in various states, providing a glimpse of what was the Gold Coast.